I moved back home, got miserably ill, spent several days on the couch, drank gallons of chicken soup, but I'm back! This may be the longest I've gone without posting since... ever. It feels weird. I've missed you. Even though I've been listening to Christmas music for a solid month, the Christmas season still managed to sneak up on me. I knew it was coming (as we seem to be forcefully reminded every few minutes) and I managed to finish my Christmas shopping weeks in advance. Still, I was blindsided. I woke up this morning and suddenly realized it's less than three days to the Big Day and I haven't done any baking. None. This may be the ultimate sin for a baker. 'Tis the season for gluttony! 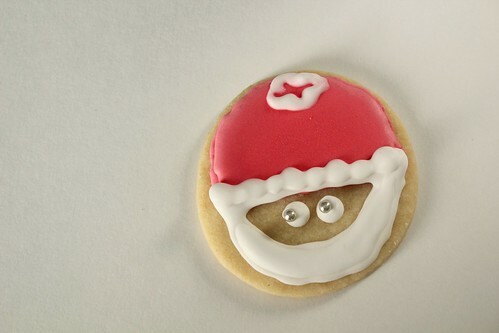 Every Christmas, for as long as I can remember, my sister and I have made and decorated sugar cookies for Santa. It's a tradition we've kept even now, though we are much older and know all about St. Nick's big secret. I think it is the perfect place to kick off my Christmas baking. My sister and I have very different decorating styles. I like to pull out the pastry bags, the gel food coloring, a variety of pastry tips, and sit for hours decorating cookies. I tend to get a bit upset when one of my lines is not straight enough or the frosting seeps out of my perfectly outlined shapes. My sister scoffs at this. 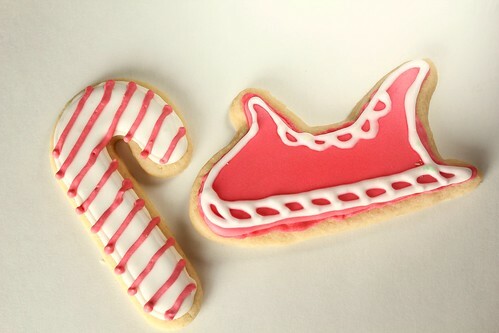 Her decorating style is to dig into the frosting with a knife, smear it on, throw on a few sprinkles and call it good. She decorates only a handful before getting bored of the elves or reindeer and running off to do something else. I feel slightly ashamed in admitting her cookies look just as deliciously beautiful as my carefully constructed ones. On Christmas Eve, we gather the crème de la crème of the batch, place them carefully on a plate, and leave them out on the fireplace with a tall glass of milk for Santa. Occasionally my mother will suggest, after eating our Christmas Eve feast, that we should leave out fewer cookies or a smaller glass of milk (you know, because "Santa" will already have hundreds of thousands of cookies to eat tonight). One year my sister thought that it would be a good idea to leave out a cookie for each of the reindeer too. My mother tried to convince us that reindeer didn't like butter and sugar (which I think is a bit of nonsense, everything likes butter and sugar), but her desperate pleas eventually won out. In the morning, all that's left of our Santa treats are a few crumbs, a good dose of sprinkles, and an empty glass of milk. 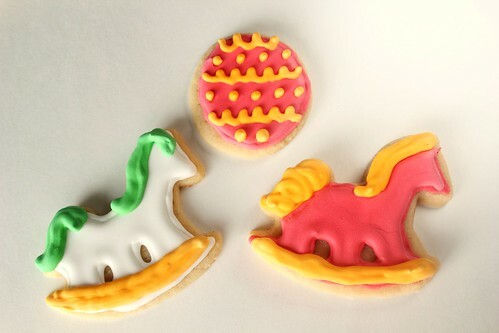 Sugar cookies have become a well loved tradition in my family, a tradition that I hope will continue as we grow older. Do you have any holiday traditions? 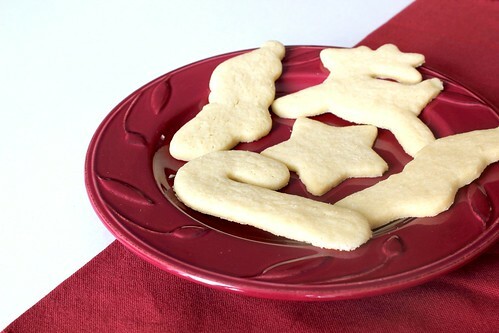 These sugar cookies are simple and classic. This recipe is easy to work with and produces a clean, even surface for decorating. 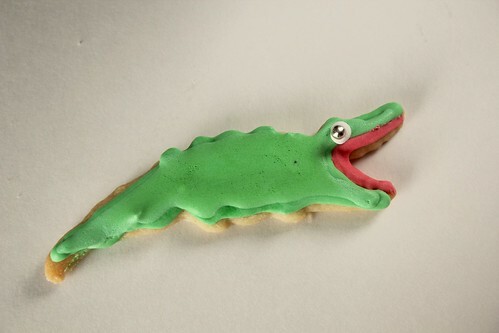 These cookies are soft and would melt in your mouth if you let them. 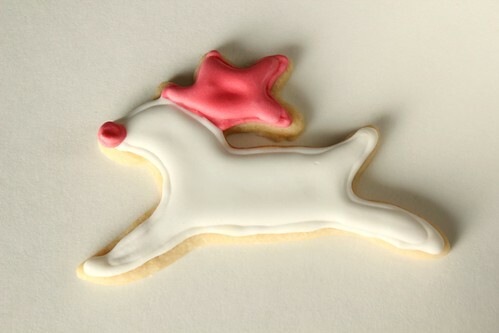 There is a strong vanilla flavor, which I love, but you can always opt for a less strong cookie, if desired. 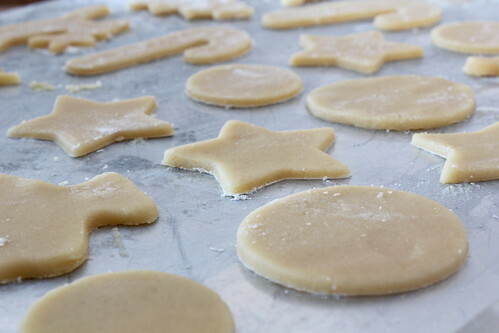 Preheat oven to 350 degrees F. Line baking sheets with parchment paper for best cookie removal. 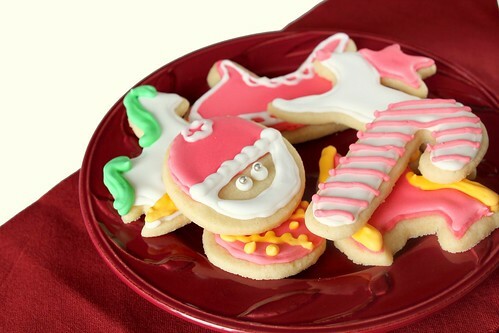 Roll out the dough to 1/4 inch thick and cut out the cookies using cookie cutters. If the dough gets too soft while rolling out, I suggest placing it in the freezer for a few minutes to harden up. Bake cookies for 6-8 minutes, depending on the size of the cookie. Cool completely on a cooling rack before frosting.